The Edelrid Rap Line ll is an innovative accessory cord that doubles as an emergency climbing rope when you have a lead rope mishap - and it was updated in 2016 with a new look, new lengths and updated safety features. Ideal for ski mountaineering or soloing, the Edelrid Rap Line ll consists of a super-dynamic woven core overbraided with static Aramid, which is then overbraided again with polyamide, effectively making it three ropes in one. The idea behind the Rap Line is that it's a static rope until it suffers an impact of around 500kg, when the Aramid will give and cause the rope to become dynamic - it's designed to withstand two falls, which can be detected by looking at and feeling the sheath of the rope, meaning that you can always tell if it's been fallen on. 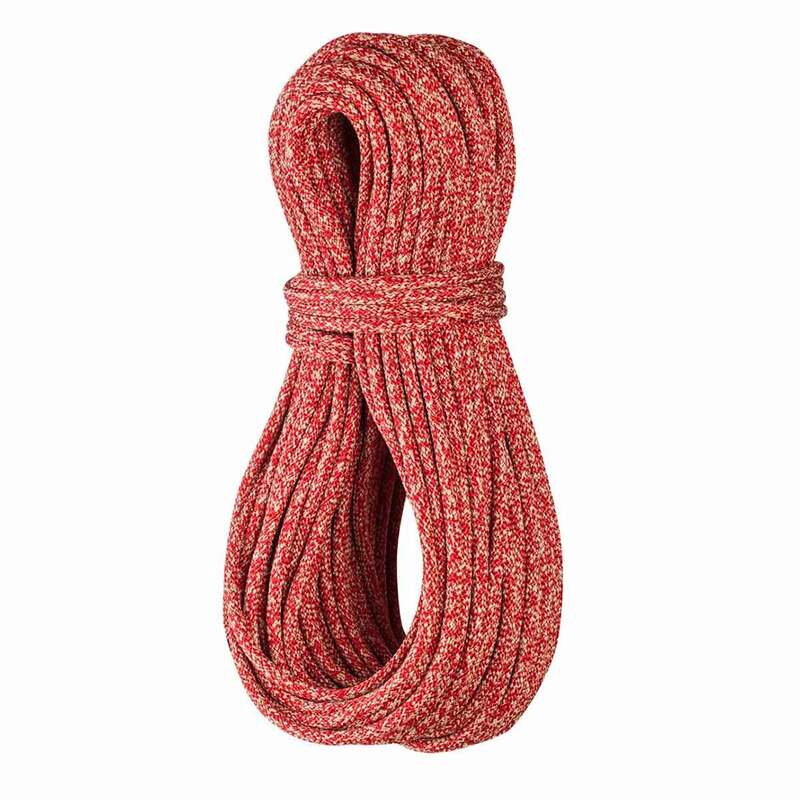 The Edelrid Rap Line ll is certified as an accessory cord and isn't recommended for frequent use as a twin climbing rope or for hauling heavy loads. A heat process to stabilise individual yarns, ensuring the rope stays supple throughout its working lifetime. This is standard on all Edelrid Ropes.